1949 Photo of Luigi Villoresi on Ferrari 166MM S/N 0016M at the GP Luxembourg. 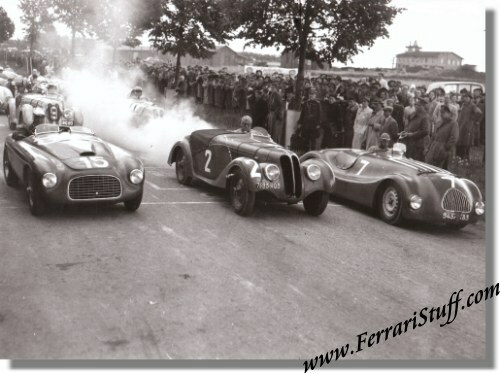 This is a fantastic shot of Luigi Villoresi on May 26 at the start of the 1949 Grand Prix de Luxembourg in the factory entered Ferrari 166 MM, S/N 0016M. Luigi would go on to win the race.